Jaguar Land Rover, Ford and Tata Motors are testing connected cars which can communicate with each other using technology designed to speed up journeys and cut accidents, the first such trials in Britain. Cars which are able to warn drivers when another connected vehicle brakes suddenly and those which can monitor traffic signals and regulate their speed to encounter fewer red lights were being showcased at a testing ground in central England. Increasingly sophisticated technology in vehicles is paving the way for fully driverless vehicles, with Jaguar Land Rover (JLR), owned by India’s Tata Motors, also demonstrating a self-driving Range Rover Sport which can automatically overtake slower moving cars. “The benefits of having cars that can communicate with each other and their surroundings could be very significant — from increased road safety to improved traffic flow,” said Tim Armitage, a project director at government-backed UK Autodrive which coordinated the trials. Earlier this month, a driverless car was trialled on Britain’s streets for the first time as part of government efforts to create an industry which can serve a worldwide market which it estimates to be worth up to 900 million pounds ($1.1 billion) by 2025. Britain is aiming to have driverless cars on its roads by the end of the decade. Automakers are racing to head off the challenge from technology firms such as Alphabet Inc’s Google, which is developing autonomous vehicles. Jaguar Land Rover said earlier this year that it plans to create a fleet of more than 100 research vehicles over the next four years to test autonomous and connected technology and Volvo plans to trial driverless cars in London next year. Ford and Volvo are working with ride-hailing company Uber on trials of self-driving cars in the U.S city of Pittsburgh. Jaguar Land Rover, Ford and Tata Motors are testing connected cars which can communicate with each other using technology designed to speed up journeys and cut accidents, the first such trials in Britain. Cars which are able to warn drivers when another connected vehicle brakes suddenly and those which can monitor traffic signals and regulate their speed to encounter fewer red lights were being showcased at a testing ground in central England. Increasingly sophisticated technology in vehicles is paving the way for fully driverless vehicles, with Jaguar Land Rover (JLR), owned by India’s Tata Motors, also demonstrating a self-driving Range Rover Sport which can automatically overtake slower moving cars. “The benefits of having cars that can communicate with each other and their surroundings could be very significant — from increased road safety to improved traffic flow,” said Tim Armitage, a project director at government-backed UK Autodrive which coordinated the trials. Earlier this month, a driverless car was trialled on Britain’s streets for the first time as part of government efforts to create an industry which can serve a worldwide market which it estimates to be worth up to 900 million pounds ($1.1 billion) by 2025. Britain is aiming to have driverless cars on its roads by the end of the decade. Automakers are racing to head off the challenge from technology firms such as Alphabet Inc’s Google, which is developing autonomous vehicles. 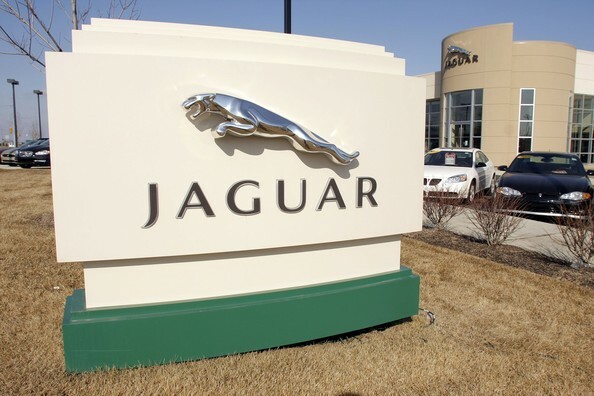 Jaguar Land Rover said earlier this year that it plans to create a fleet of more than 100 research vehicles over the next four years to test autonomous and connected technology and Volvo plans to trial driverless cars in London next year. Ford and Volvo are working with ride-hailing company Uber on trials of self-driving cars in the U.S city of Pittsburgh.